People Who Live in Glass Houses Shouldn’t Throw Stones, or Is This The End of English Monarchy? 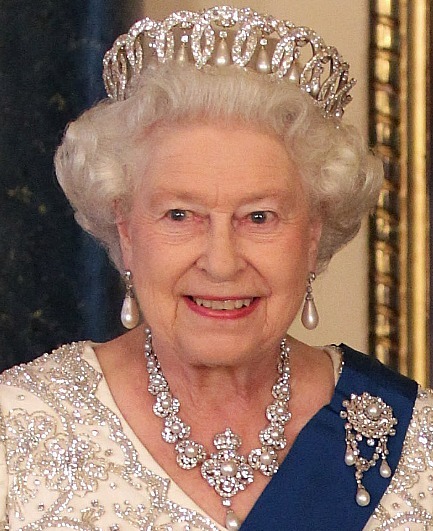 ‘The Sun has sunk to a new low’, ‘British public reacts with fury after tabloid publishes 80-year-old pictures of the seven-year-old Queen and the Queen Mother being taught a Nazi salute’ – these are just some of the headlines following publication of the current Queen of England performing Nazi salute 80 years ago. There is a lot of talk about banishing The Sun, and about restricting Murdock’s rights of entering the UK. While I understand the sentiment behind it, I disagree with the idea. UK is a free, democratic country. The Sun, while being an absolute rat rag, published a factually correct story. Instead of calling for heads to roll and for banishing people and businesses, the English establishment should stop and think about what this really means to them. The way I see it, a 7 years old girl had been brainwashed to become a Nazi sympathiser. Instead, she grew up to be a woman of good stature and a reasonable Queen. She had shown the strength of character befitting of a monarch. If anything, the English should see it as a feel-good story. On another side of the divide, there are loud voices calling for the end of monarchy and for introduction of a republic. This just makes me cringe. I wonder if these same individual protest all and any political and/or economic dealings with the US government, which was quiet happy to acknowledge the French Vichy government as the official government of France. The fact that it was Hitler’s little puppet didn’t seem to bother anyone in Washington. In all fairness, France and USA weren’t the only ones who openly (or secretly) embraced the Nazi regime. Russia had signed a Molotov-Ribbentrop Pact, aimed at carving up bits of Europe. It Is also a well-known fact that Muslim Brotherhood’s leader Hassan al-Banna, was an ardent supporter of Nazi Germany, as was a Grand Mufti of Jerusalaem. It wasn’t just the political and religious leaders who willingly cooperated with Nazis. There was a lot of money to be made, and some big businesses couldn’t contain their greed. That’s why I wonder how many of these same republicans that call to abandon the monarchy, simply because a 7 year old girl gave Nazi salute, are driving Fords? Henry Ford was Hitler’s close friend and the only American who received Nazi Germany’s highest honour – the Grand Cross of the German Eagle. Or how many of them use IBM equipment? 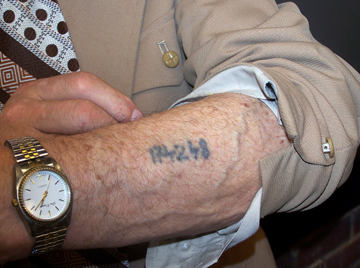 Remember those infamous tattoos that Nazi victims were given upon entering concentration camps? They are the serial numbers that were fed into IBM’s accounting systems to insure efficiency. The list of the companies who made their fortunes by cooperating with Nazis is quite long. Some of them made (or at least attempted to) make amends for their dark past, some are completely happy and comfortable with their history. I guess what I’m saying is that before calling for the heads to roll, and for monarchs to be toppled, the instigators should have a good look at themselves and make sure they are not tainted. This entry was posted in International Politics, Media, Politics and tagged business, Media, politics, USA, world war ii by Eugene. Bookmark the permalink. Nicely put and all historically proven. Great piece Eugene.